As a mother, I always wanted to give our daughter the wedding of her dreams and Helping Hand Parties & Weddings did just that. Erica was phenomenal, From our very first meeting to the last. She was so knowledgeable with event planning offering ideas and suggestions in all our planning stages. Her detailed planning was spot on. From contacting and organizing timelines for all vendors to timelines for our daughter’s wedding day. She was always available to answer any questions or concerns I had. Erica succeeded in making our daughter’s wedding a beautiful dream come true! I was the bride who knew exactly what I wanted & most vendors were booked 7 months out, but I needed help with the details / day of items. Helping Hand Parties & Weddings exceeded everything I could have imagined. Erica helped me follow through with my dream wedding from coordinating the vendors to assisting with last minute decorations to giving an honest opinion when it was needed. Erica’s timelines for the day of were so detailed that there is no way anything could be missed. The day of my wedding Erica & Leigh handled everything, holding my flowers during pictures, assisting the vendors as they arrived, and making sure the bridal party was in the right place at the right time. My dream wedding came true and most of the credit goes to Helping Hand Parties & Weddings. I highly recommend Helping Hand Parties & Weddings for any wedding planning service. Excellent service, flexible meeting times, & very detailed. You will not be disappointed!! Amanda. Erica was such an amazing resource throughout my entire wedding season! I was an out-of-town bride and she made sure to keep our lines of communication open and frequently touched base with me to make sure we were all on the same page. In addition, she had timelines down to the minute for everyone involved in the wedding (bridal party, vendors, etc.) which made the day go by without a hitch! And if there was a hitch, she took care of it and I was completely unaware 🙂 I highly recommend her for any bride, especially those who, like myself, are not the most detail oriented. My husband and I decided to have our wedding out of state and it wouldn’t have been possible without Erica. She is definitely in the right job, and she is amazing at it. She was always able to meet with us when we came from out of town. She put us in touch with some of the best vendors that fit our style. She thought about things that never even crossed my mind. She was very professional and was always pleasant to work with. On the day of the wedding if something went wrong, I didn’t know about it. She was everywhere and aware of everything. She was by far a blessing to have during the wedding planning process. I would recommend her to every single bride out there. She’s definitely worth the money! She made our wedding dreams come true. Erica is simply the best wedding planner in this entire area, hands down! 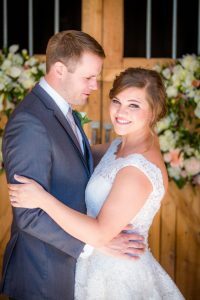 As an engaged couple, we thought we had a general plan for our wedding, but after we met with her the very first time, we quickly realized that there was SO much more to planning a wedding then picking out vendors and reserving sites. She literally had a to-do list based on the number of months out from your wedding day so we didn’t miss anything or try to do something too late. She kept us very organized by keeping a personalized folder for our wedding. To explain her services, it would best be said that she is the glue that keeps all your vendors, venues, reservations, etc., all together. If you want your wedding to run as smooth as possible and want to not waste your time trying to figure things out, we would highly recommend her. Erica from Helping Hand Parties is fabulous. Period. She is a joy to work with and is greatly gifted in event planning. Not only will she help make your vision come to life but she will also brainstorm/ walk you through every detail to make it even better than you originally dreamed of! 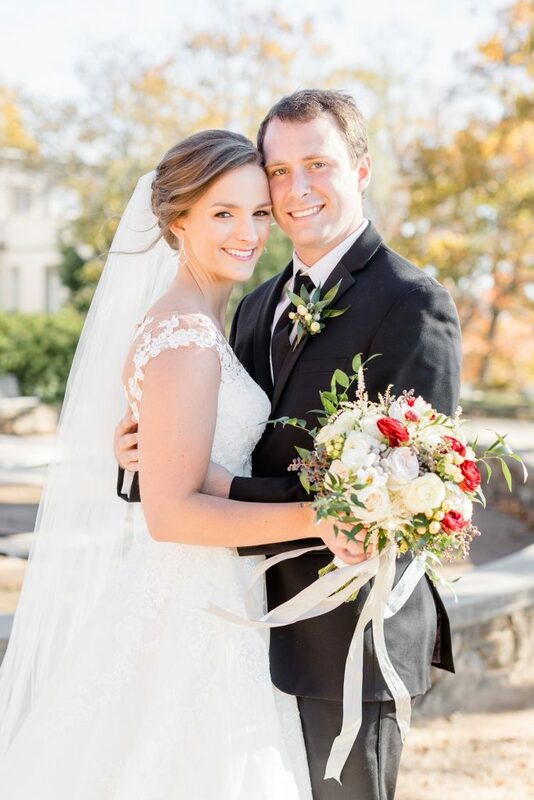 My wedding day couldn’t have been more perfect! Erica was hired as my day-of-coordinator and the execution of the day was flawless. I didn’t have to worry about a thing during the day and actually got to enjoy my day. 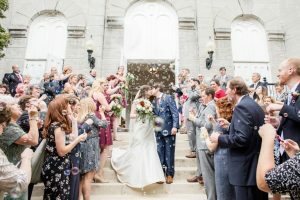 Even though she was only hired as a day-of-coordinator, Erica helped me weeks in advance, with keeping me on track of deadlines, following up with vendors, meeting with my venue, and bringing up items I hadn’t even though of! Erica is also very accommodating to your schedule. As with planning a wedding and having a full time job things can get a little hectic, but Erica was always willing to work around my schedule. I don’t have enough great things to say about Erica. She provided us with day of coordination services at our wedding reception. She is so sweet, knowledgeable, professional and just an overall pleasure to work with. Months before the big day she was helpful in providing multiple vendor recommendations that were within my budget and was always quick to respond with any questions I had. Weeks before the wedding, every last detail was so thoroughly planned out that I was able to enjoy the events leading up to the wedding stress free. She assisted in set up and break down of the decorations, which were set up exactly as I had imagined, and made sure everything ran without a hitch. If something went wrong that night, I never knew about it. I’m so grateful to her for giving me the wedding of my dreams and I will remember it for the rest of my life. I would highly recommend her to any bride. Thank you Erica! Erica was so wonderful to work with, she was very organized and detailed. We never had to worry once about how things were being handled. She was always ahead of things. The only other suggestion we have is trying to schedule the first meeting a bit sooner. We had our first meeting in early July the month of the wedding and we were overwhelmed with all we still had to do which was 3 weeks prior to the wedding. We were extremely impressed with Erica’s services. She blew us away and really shined, allowing us to focus on enjoying our wedding and knowing our guests were well taken care of. Erica was an absolute wedding genius! She thinks of every detail you could possibly imagine and then at least 100 more. I knew when I first met her at our consultation that she would be great, but once we started our wedding month meetings I had no doubt she would make sure everything was perfect. In the planning process she works on every piece of the ceremony and reception and gives such great advice! I know I was stubborn on some things, but she still advised and convinced me (or my mom on some occasions) when a change really needed to be made. She’s very experienced and knows so many of the vendors in Huntsville and Madison, that she knows the best way to work with each and every one of them. After the stress of planning and choosing things up until a month before the wedding, it was blessing to be able to hand things off to her and know I didn’t need to worry about them. On the wedding day I was completely unaware of anything going wrong or being off (that’s assuming stuff did which I’m sure is a safe assumption). Erica made everything run so smoothly and I don’t know what we would have done without her. I’m so very grateful for her hard work and would highly recommend Helping Hands! Erica is an amazing wedding coordinator. She truly went above and beyond for our wedding to ensure it was a success. We had a number of meetings, and I never felt rushed, which was nice because we took a lot of time planning. Our wedding had an elaborate table decor display, which took a great deal of time to set up. She put in a number of extra hours to help set up these decorations, and we are truly appreciative of this! On the wedding day, mother nature played a huge role and it was raining off and on that day. Erica and her assistant set up two ceremony areas, one inside the church and the other at the gazebo. She helped me stay calm throughout the day, as I was in a panic about what were going to do. Overall, it stopped raining and we had it outside, but it was so nice to know we had a back up plan in case it rained. I highly recommend using a wedding coordinator for your wedding. Even if you think you know everything about a wedding, Erica will often bring ideas and suggestions that are very beneficial to your day. There were a number of things she suggested which turned out to be very advantageous to the wedding. The actual flow of the wedding was so smooth, which is something I really wanted. No hiccups or issues, and I have repeatedly heard from guests that it was an amazing wedding. I highly recommend Helping Hand Parties & Weddings. Great value, great service, and your wedding will be beautiful. For our destination wedding we truly took ‘Bama to the Bahamas and Erica helped make it all happened. Forty eight family members and friends boarded the Royal Caribbean Enchantment of the Seas. Erica and her assistant helped coordinate activities on the boat: Hindu prayer service, cocktail party, and wedding rehearsal. I was able to enjoy my guests while Erica and Lynn handles all of the logistics and solved any issues or problems that may have arose. On Saturday, April 27, the ship docked at Nassau, Bahamas. Erica and our DJ disembarked early to ensure that the wedding ceremony site, the Versailles Gardens at the One and Only Ocean Club, was set up and decorated appropriately. The ceremony was a colorful fairy tale. Our Hindu/American hybrid wedding flowed well and ran on schedule, a feat I was quite impressed with because Hindu weddings are known to run notoriously late. Because Erica kept everything running smoothly we had plenty of time for a champagne toast and pictures. Helping Hands made sure no guest was ever left behind with their methodical guest check lists. They handled transportation logistics and made sure every guest was where they needed to be. Later that evening were pictures on the beach, cocktail party, and reception at the Sheraton Hotel and Casino. Erica and Lynn decorated the beach pavilion for the reception with votive LED candles, red carnations, star fish, and sand dollars, add to that the beautiful pink and purple sunset, and DJ Luka’s great music selection–it made for an absolutely memorable and enchanting reception. Erica stayed on top of the reception schedule (which was quite tight as is) and made sure the dances, cake cutting, and sparkler exit went without a hitch. I couldn’t have asked for a better reception. Erica was an absolute God send!! She was so attentive and did everything in her power to make sure my big day was perfect (which it was)! If anything went wrong on the wedding day I had no idea, which is how it should be. Zero complaints, she is fabulous! Helping Hands Parties was the right choice for me and my groom. I had never had a wedding, or even attended one. 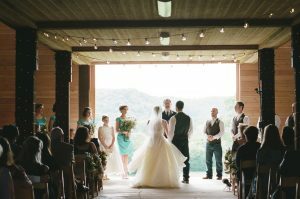 So, when it came to planning my wedding and reception I was in the dark but Helping Hand Parties brought me into the light. The Internet is congested with many engines that really don’t point you in any specific direction. Helping Hand Parties allowed me to narrow my scope and focus on what I wanted as well as what I could afford. If money is no issue for you, then that’s not a problem either :>). However, we were on a strict budget and Helping Hand Parties provided the expertise and vendor suggestions that really assisted in financial savings. Not to mention, they were hands on around-the-clock assisting me in every step. My wedding was a small wedding, but it was elegant, intimate and all CLASS! Hindsight, my wedding and reception was Grand! I couldn’t have pulled this off without Helping Hand Parties. Helping Hand Parties was a God send. Erica, I just wanted to tell you how much we appreciated the awesome job you did with our only daughter’s wedding. With your help we were able to make all of her dreams come true (as well as our own). We are absolutely overwhelmed with all of the comments and compliments being made about how spectacular things were. My family, friends and I recently celebrated and thoroughly enjoyed my daughter’s wedding. The rehearsal, ceremony, and reception went off without a hitch, due in large part to Ms. Erica Thimsen’s outstanding work as our wedding coordinator. 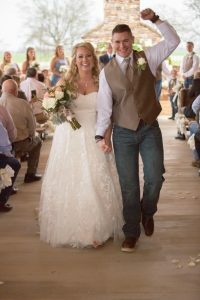 She provided spot-on recommendations, coordinated with all vendors, and orchestrated the entire event, all while placing our personal desires as the top priority. Her professional demeanor, attention to detail, and tireless efforts were instrumental to providing an absolutely wonderful event and allowed my wife and me to relax and enjoy rather than scurry and worry about details, large or small. Erica helped plan my daughter’s wedding this past weekend. I highly recommend Erica. She is very knowledgeable and very organized. She was quick to respond to my emails and phone calls and always knew the answers. The wedding turned out wonderful; it was exactly what we wanted. Erica worked so hard on the wedding day. She was there from 8:00 am and was still there cleaning up when we left at 11:00 pm. I couldn’t have done it without her! Words cannot express my gratitude and appreciation for Erica Thimsen. 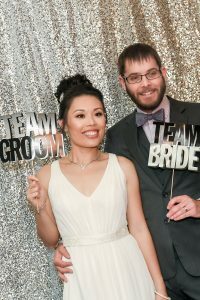 I hired Erica as my “Day Of” coordinator for my the reception of my wedding that was held on April 30, 2011. The minute I met her, and her warm spirit, I knew that she genuinely cared about me and making sure my wedding reception was perfect. I had spent a year planning my formal reception that included a cocktail hour and formal dinner. I had planned every detail to a ‘t’ yet, I wanted someone to put my dreams into play and keep my reception running smoothly. Erica was there to come up with things I didn’t even think of. She was organized, professional, and remembered everything we discussed. The week before my wedding, I knew she had everything taken care of and that my reception would flow smoothly. Then on April 27, 2011 tornados ripped across the state of Alabama. Devastation. Power was out and predicted to stay out for 7 days. Cell phones didn’t work. As you can imagine, I panicked. My dream wedding was falling apart. Yet, Erica sprang into action. Though I couldn’t get a hold of her because of the cell phones service, she was already planning and making alternative arrangements. I’ll never forget when we were finally able to get through to each other, how amazed I was on how much she had already done. Over the day, she amazingly contacted all my vendors and made a plan of what our options were. At this point, I was in a state of shock by everything that I told her to make whatever she could happen, happen. 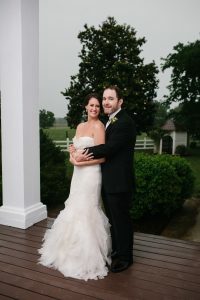 Due to the power outages and tornado damage, Erica had to cancel and replan a whole reception in a day. She was able to change venues, work with my caterer, cake lady, florist, etc. She made it happen. I’ll never forget walking into our “new” reception and how amazed I was. Not only was the place beautiful with linens, a buffet of food, etc., she had remember the little details from our reception and incorporated them all-even down to the little elephant name card holders. She is a miracle worker who went out of her way to make our wedding perfect. I cannot tell you enough how much I recommend her. Please feel free to contact me personally if you would like more information on my experience: VanessaRolfJones@gmail.com. Thank you Erica, from the bottom of my heart! Erica was considered our Guardian Angel for our wedding!!! Our daughter Vanessa selected Erica for her wedding to help coordinate the day. We were excited about her ideas, and the sense of security it gave us to have her there for the day. 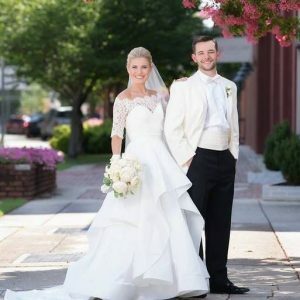 The April 27th tornado came on Wednesday, and the wedding was planned for three days later. Among the destruction and disaster many faced during this tragic time, Erica was cool and calm and collected. Erica was able to contact and collaborate with our selected vendors!!! The candlelight wedding for Vanessa and Tyler Jones occured due to Erica!!! 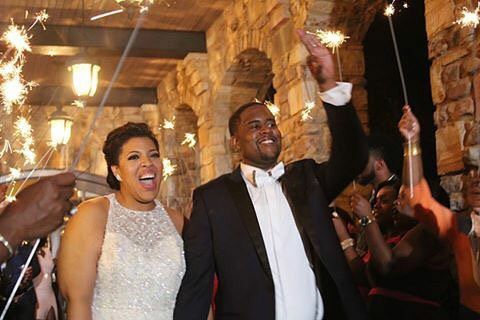 Immediately following the ceremony she set up a reception at Cyn Shea’s Restaurant in downtown Huntsville!!!! All this with NO POWER !!!! Helping hand parties planned and executed my 50th wedding anniversary party for 100 friends. The party was unique and beautiful and even more than I wished for. The service provided of setting up the chairs & tables for the outdoor wedding & reception allowed us more time to relax & get ready for the wedding. If we hadn’t of used this service we would have spent approximately 2 -1/2 – 3 hrs setting up the chairs & tables & driving back & forth to the venue.